What a perfect way to enter the holiday season but with some good news about chocolate. Many people agree that chocolate is good for the soul, but researchers are now finding that it may be good for the body too, particularly dark chocolate. Take a look at some of these amazing benefits. BRAIN BOOSTER– Researchers at Wheeling Jesuit University have seen boosts in people of all ages in memory, attention span, reaction time and problem solving skills in those people who eat dark chocolate. GOOD VISION – Individuals eating dark chocolate showed an increase in vision according to a University of Redding test. HEALTHY HEART – Researchers at Harvard have confirmed that the flavonoids in dark chocolate increase blood flow and seem to prevent cell damage and inflammation. BETTER BLOOD – Hypertensive people who eat 3.5 ounces of dark chocolate per day saw a drop in blood pressure and in bad cholesterol according to Tufts University. STROKE STOPPER – A Swedish study conducted show that women who ate two bars of dark chocolate per week had a 20% less risk of having a stroke. FAT BUSTER– Penn State found that dark chocolate contains fat busting enzymes. The antioxidants in dark chocolate help to block the breakdown of fat and carbohydrates leaving less to be absorbed by the digestive tract and preventing the fat cells from entering the blood stream to be socked away by the body. MOOD ENHANCER – Dark Chocolate contains serotonin which is a natural anti-depressant. 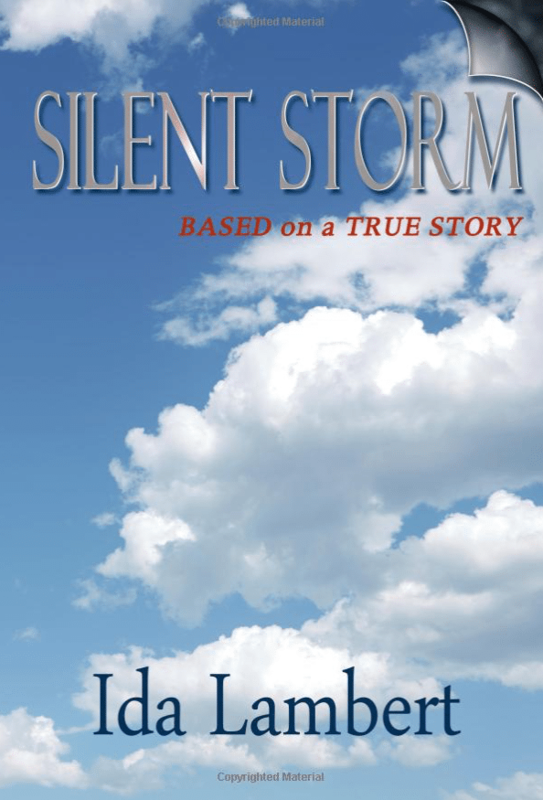 It also stimulates endorphin production which may help create a feeling of happiness. Of course these are just a few benefits of many, and as with anything else, it should be taken in moderation. Most researchers have found that up to three and a half ounces per day is safe. We at Drs. Country Health have a great formula to try, CHF#96W – Cocoa Wafer. This product contains unprocessed cocoa powder and are naturally flavored with honey and stevia. Try it today and it may help you get a kick start into the New Year! 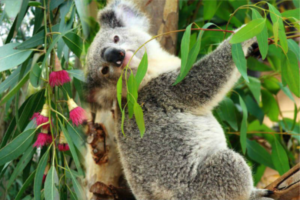 When you think of eucalyptus, you probably think of cute, cuddly Koala bears in Australia, but the oil from the eucalyptus tree may have many beneficial health uses. Eucalyptus is native to Australia. There it is considered a traditional household remedy, especially good for respiratory ailments. Now eucalyptus is also being cultivated in Spain, Portugal, Brazil, California, Russia, and China. There are over 700 different species of Eucalyptus. 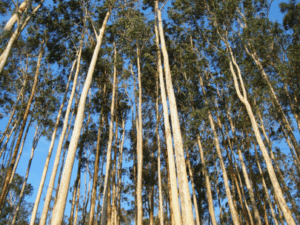 The eucalyptus trees can grow to be over 295 feet tall. There are several different types of oils, however the main oils used are EO#20 Eucalyptus Citriodora (Lemon), EO#21 Eucalyptus Globulus (Blue Gum), and EO#22 Eucalyptus Radiata (Peppermint/Eucalyptus). The oil is extracted from the leaves, flowers and twigs by steam distillation. The oil is colorless or pale yellow and has a fresh, spicy-minty odor. -For breathing discomforts of asthma or bronchitis, sprinkle a few drops of Eucalyptus Oil on a cloth or tissue and breathe in through the mouth, exhaling through the nose. Do this for 30 seconds.Eucalyptus oil has many benefits like analgesic, antiseptic, antiviral, decongestant, deodorant, diuretic, expectorant, parasiticide, and may help with asthma, bronchitis, throat and mouth infections, common cold, flu, fever, arthritis, muscle pains, sport injuries, cuts, insect bites, headaches, and exhaustion to name a few. Here are a few examples of how you may use eucalyptus oil. -Get soothing relief from the muscular aches and pains of arthritis, rheumatism, sprained tendons and ligaments, strained, bruised, stiff and sore muscles by gently massaging Eucalyptus Oil on affected areas until a warm glow is felt. Repeat at intervals until the pain or swelling disappears. -Eucalyptus Oil helps relieve arthritis pain and muscle aches. When rubbed onto the skin, eucalyptus oil stimulates blood flow and generates the sensation of warmth. (Note: Either use eucalyptus oil full strength or dilute it with vegetable oil). -Get quick relief from the pain of insect bites by applying Eucalyptus Oil onto sore and swollen areas. When spring is coming with all the bugs and mosquitoes, you can make a repellent spray by mixing one part Eucalyptus oil with three parts water. This can be used on humans and animals. 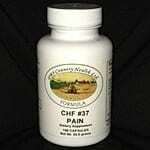 CHF #37 A natural pain relief similar to apirin for minor pain. 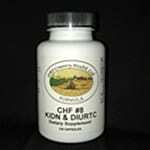 CHF #8 A kidney glandular formula with a diuretic effect.